Africa's oldest president, Cameroon's Paul Biya, easily won a seventh term on Monday after a Constitutional Council that he appointed rejected all legal challenges to the election. Cameroon's Paul Biya easily won a seventh term on Monday as president after a Constitutional Council that he appointed rejected all legal challenges to the election. Now analysts say the country faces further turmoil if Biya, Africa's oldest president who will be 92 when the new term ends, doesn't start preparing Cameroon for life without him after decades in power. Major cities saw heavy troop deployment ahead of the election announcement as the government banned opposition rallies. Biya received more than 71 per cent of the vote, while Maurice Kamto had 14 per cent. The Oct. 7 election saw few voters in English–speaking regions after nearly a quarter–million people fled unrest by anglophone separatists. 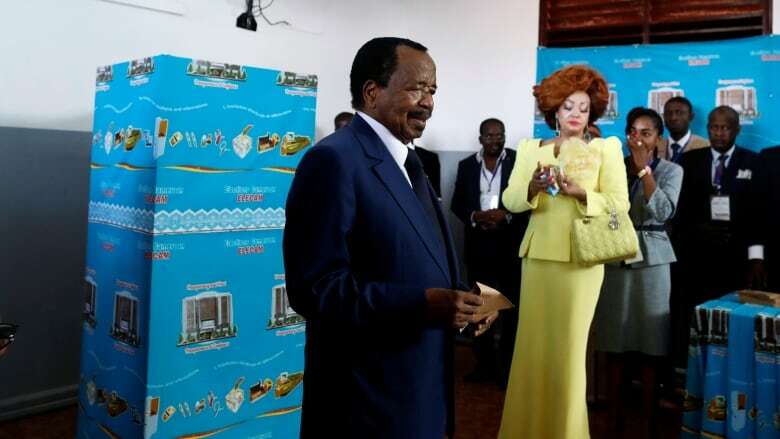 The turnout in the Southwest was 15 per cent and in the Northwest it was five per cent while Biya won in both regions with more than 77 per cent of the vote. Overall election turnout was 53 per cent. Fighting between the separatists' ragtag bands and security forces accused by rights groups of abuses has killed hundreds and posed a serious challenge for Cameroon, a close U.S. security ally against extremism and a new member of the UN Human Rights Council. The low turnout means a weaker mandate for the 85-year-old Biya, who has led since 1982. The government did away with presidential term limits several years ago, part of a trend in Central Africa that has dismayed many. The fractured opposition brought well over a dozen legal challenges but all were rejected by the council, a collection of high–ranking magistrates and members of Biya's administration. The election occurred largely without Western election monitors who have watched recent votes in Kenya and Zimbabwe. The council called the election free and fair despite security challenges in English–speaking regions. A close Biya aide, Dion Ngute, said he wasn't surprised by the win because the president is "very persevering" and "tells Cameroonians what can be done and what is not possible to be done." Opposition candidate Joshua Osih, who has compared the inability of English–speaking voters to reach the polls to South Africa's former system of apartheid, accused Biya of using the machinery of the state to ensure another term. Osih said Monday's heavy troop deployment was "intended to punish the majority of Cameroonians who are disgruntled with Biya's long stay in power and want him out." 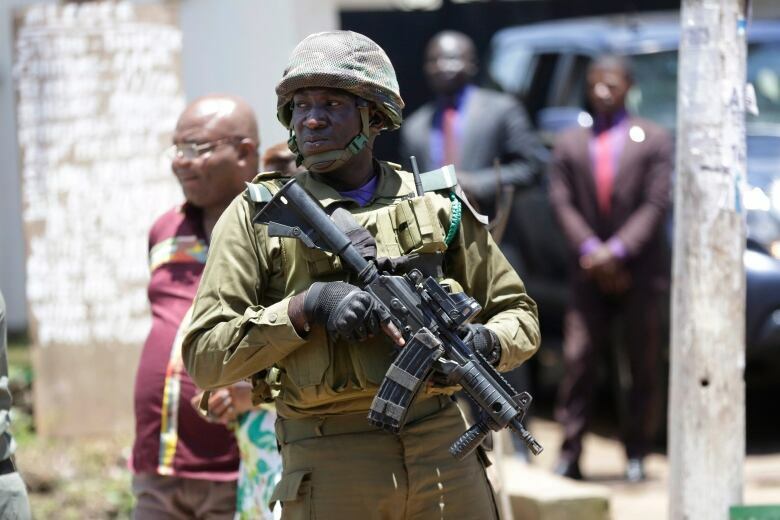 Troops were seen at the homes of opposition candidates Kanto and Cabral Libii, who had asked Cameroonians to defend their rights if they feel cheated. The minister of territorial administration, Paul Atanga Nji, said the troops were not meant to intimidate people, but rather protect them from "politicians who are pushing naive youth to the streets." Dissatisfaction has been high in the English–speaking Southwest and Northwest, where Hans De Marie Heungoup, a senior analyst with the International Crisis Group, said only a few counties' polling stations opened. Biya didn't campaign in either region. "Normally the head of state should be worried to be elected when two of the 10 regions of the country almost have not participated," Heungoup told AP. "But in the reality of Cameroon, the president doesn't care." 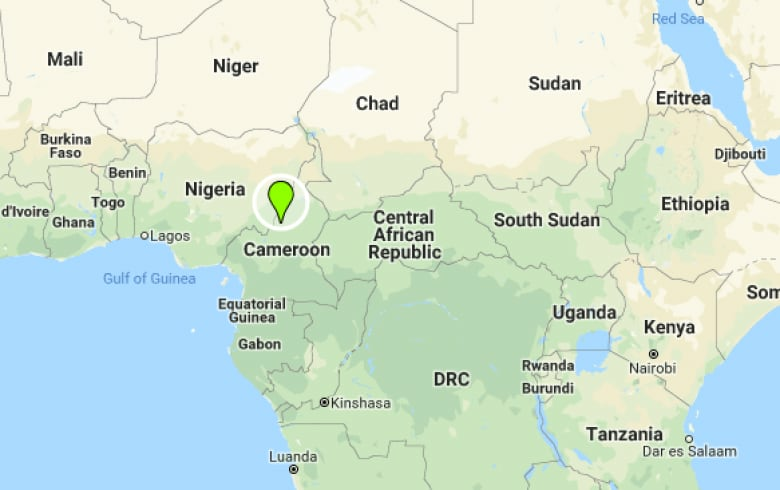 The anglophone unrest began after lawyers and teachers in the English-speaking regions peacefully protested what they called creeping marginalization by Cameroon's French-speaking majority. English speakers make up about 20 per cent of the population. After the government cracked down, armed separatists emerged and declared an independent state of Ambazonia. Civilians caught in the fighting have pleaded for peace, saying children's education has been disrupted as schools are attacked and burned. Now everything depends on how Biya decides to interpret his new mandate, Simon Munzu, a former UN diplomat and co-ordinator of next month's Anglophone General Conference, told AP. The conference, organized by religious leaders, focuses on a possible national dialogue. Biya, described by observers as a distant figure even to ambassadors and some of his ministers, will be invited to the anglophone conference, Munzu said. Munzu and Heungoup warned that Cameroon faces disaster if the aging Biya suddenly leaves power without preparing the ground for a transition even within the ruling party, with its own tensions along generational and ethnic lines. "I can only hope he is thinking about the interests of the nation," Munzu said. Cameroonians are hungry for a proper democracy, he said, noting the country's colonial past and legacy of autocratic rule: "They didn't think it would last this long."